If you're looking for a challenging action-RPG to help you through the Souls drought, look no further. 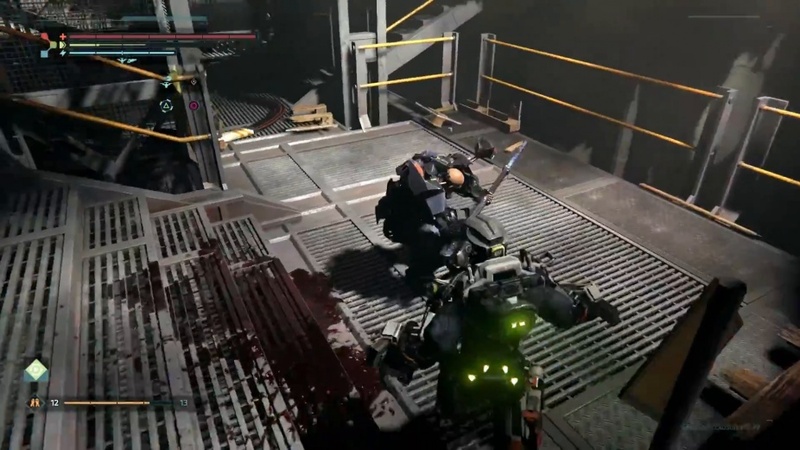 Set in a distant dystopian future where mankind has fallen from grace after becoming too dependent on technology, The Surge, the latest effort from Lords of Fallen devs Deck 13, is an enthralling mix of Souls-like combat and fresh new mechanics. Instead of being handed creative control of your character, you step into the shoes of Warren, as he makes the journey to start his first day of work at CREO (a major corporation that is driven to influence global change). But before he even has the chance to make a great first impression at his new job, Warren finds himself at the centre of a chaotic incident and blacks out as robots and other workers within the facility have gone haywire and are desperate to spill his blood. This is all the introduction you're given and then you're left to assemble the jigsaw-like narrative through audio logs and conversations with other survivors. While its narrative does prove to be thought-provoking, protagonist Warren lacks a sense of depth and we felt little connection to him as a character. With this lack of complexity, it does beg the question as to why the developers didn't allow us to create our own protagonist. Before sending you spiralling through a whirlwind of emotions, The Surge eases you into its mechanics, decorating its environments with sprawling rows of texts. The combat, like that of its peers, requires you to study your opponent's movements, mastering dashes and blocks and striking when the time is right. The absence of ranged weapons forces you to get up close and personal with your foes, always leaving you inches away from death. There's also a range of different weapon types to keep combat varied. Everything is melee focused, and your arsenal includes heavy weapons, staffs that allow for more fluid movement, and double handed weapons that leave little damage but allow for blistering speed. Each weapon also comes with its own stats differing in attack speed, power, and impact, and there's plenty of different weapons to be found. Straying beyond the Souls blueprint, combat features a targeting system similar to Fallout's V.A.T.S, where you target individual enemy limbs. So if you're aiming for a swift victory you can attack them where they're unarmoured and you can even hack off their limbs to salvage weapons and armour. To loot their gear, you must hit them in the desired region until you're prompted with the square button (on PS4), which will trigger a gory execution. We found this mechanic particularly exciting as it transformed our exo-suit into a walking trophy case, showing off the best gear we'd "found" on our journey. That being said, we found switching between limbs with the analog stick to be a little slippery, as at times it would jolt unexpectedly between targets. 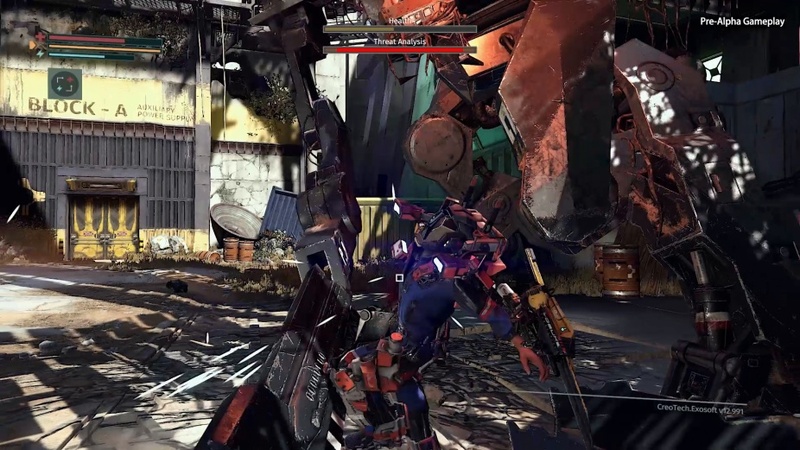 Tech scraps are the game's equivalent to souls and can be obtained by slaying enemies or triggering certain collectables. The Surge puts its own spin on the formula, however, as once you die a timer will commence counting down until your tech scraps perish. This works to add an extra layer of tension to already demanding gameplay, forcing you to adopt a sense of urgency when patience is also demanded. Tech scraps have a number of uses as they can be used to craft new items, upgrade weapons or raise the level of your exo-suits core level, making them a vital resource to your progression. Implants are similar to rings in Dark Souls and can be equipped to your exo-suit to deliver a range of perks. Implants are split into two categories: inbuilt and injectables. Inbuilt implants work to boost your overall levels of either stamina, energy or health, and injectables can be used in battle as a means of replenishing your health, energy or upping your attack. In order to equip more implants or wear better gear, however, you must first upgrade your exo-suit's core power using tech scraps. More effective implants also require you to have a higher core level, and it makes it feel like there's a constant sense of progression as you're always finding new implants and improving your gear and core level. There were a few times where we found ourselves stuck, not knowing where to go, but as The Surge let us know early on, it's not a title that's big on hand holding. It didn't help, however, that you didn't have access to the map overview that's displayed on the load screen, as NPCs do occasionally hint at where you should visit next. There's also only one core difficulty setting with no option to change, which may be an issue for those seeking an added element of challenge or for those who are struggling to contend with its relentless difficulty. 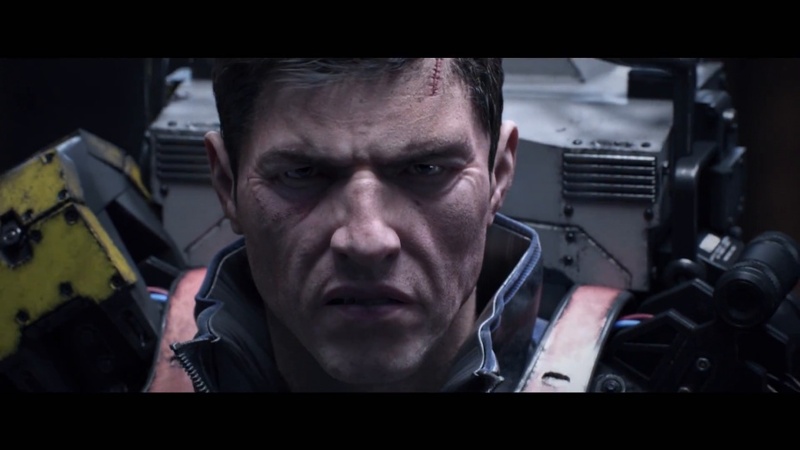 The Surge is an undeniably beautiful game and its gritty atmosphere of a cold machine-dominated world always felt hauntingly realistic. Furthermore, it features a diverse mix of locales across CREO's facilities, spanning laboratories, rusted scrap yards, and warehouses (despite this variety, there's little in the way of verticality). It also offers up additional side quests that you can get from NPCs, where you can receive handsome rewards for completing tasks. There are also many hidden paths that will allow you to find new items, audio logs and can lead to optional boss encounters, disrupting a sense of linearity. While it proudly wears its influences on its sleeve, this strictly single-player affair manages to break free from the shackles of being just another Souls-like video game. The body harvesting looting mechanic and chilling setting of a machine-dominated dystopian future help it to hold its own, and its relentless difficulty even rivals that of its greatest influence. A few of its mechanics do admittedly feel clunky and the difficulty is quick to skyrocket, but if you're after a solid action RPG to help you pull through the untimely demise of the Souls series, you should look no further than The Surge. It features a creative limb-targeting system, Dystopian setting is hauntingly realistic, Combat is fast-paced and rewarding. Some mechanics feel clunky, It's led by a forgettable protagonist, Difficulty spikes early on.